Are Chinese cigarette packs the same size as North American ones? The pictures I've seen of the label on the bottom of these say "220-260MHz"...sooooo, maybe they can be reprogrammed??? Mine goes from 240-260.997. So, no ham operation here. 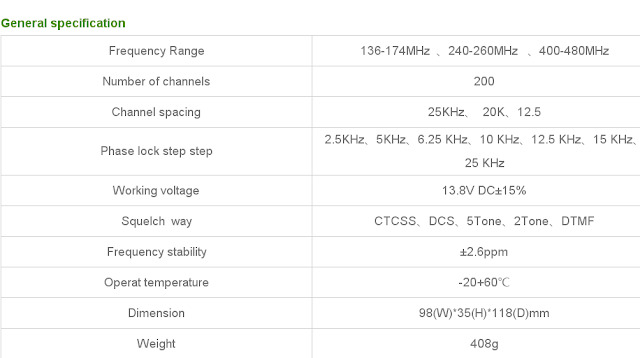 Anyway the 220 MHz band is not a legal ham band in Scandinavia where I live, so I do not need it. 240 and up is for Russian space communication and emergency transponders (use extreme caution). So for licenced ham operators, this is a 2 band radio. Got one of these her in Norway. Was probably one of the first to order it when it became available. Really nice radio. So small, the audio has VOLUME :) Can even listen to FM broadcast on it (until it goes QRT in 2017 and DAB+ will be the only alternative. Called progress...). Is there a hole behind the fan? How about overheating when talking over 30mins or so. I notice in the software you can enter 220 Mhz. 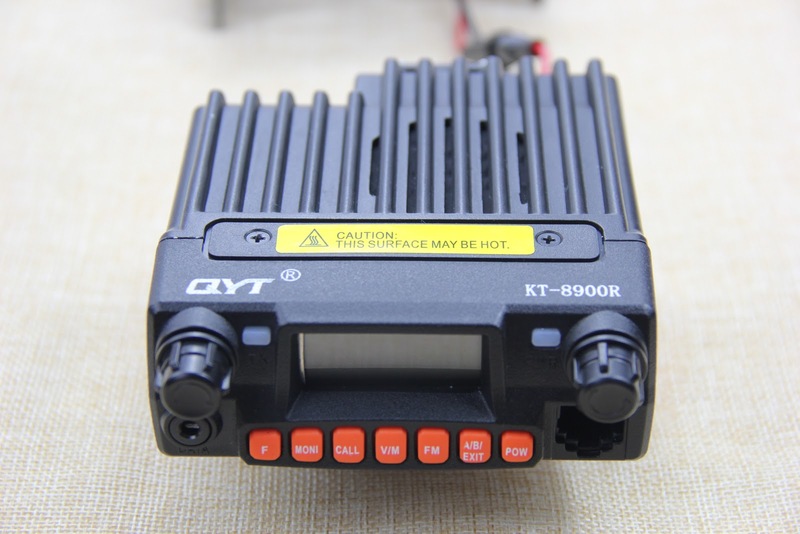 With the sticker on the bottom of the radio indicating 220-260 Mhz I wonder if when programmed with the software the radio will operate on 220. Anybody tried it? 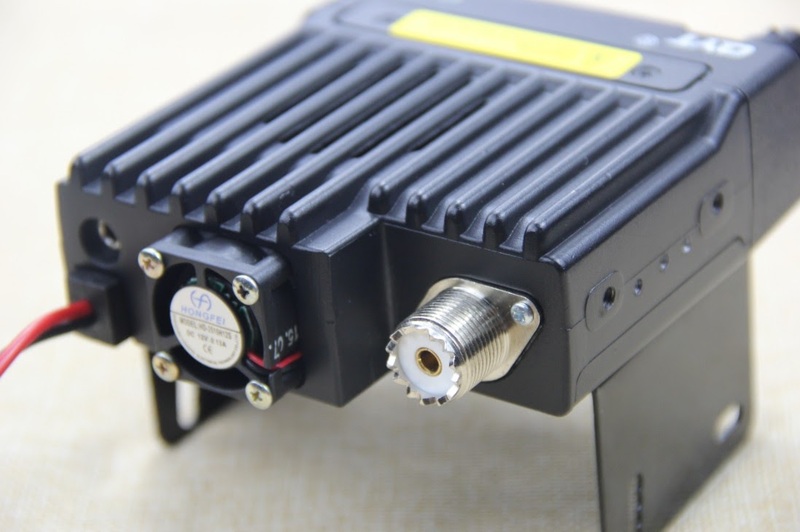 220 NOT 240 Mhz would be a reason to purchase. Love to know definitively if the 1.25 meter ham bads are covered. 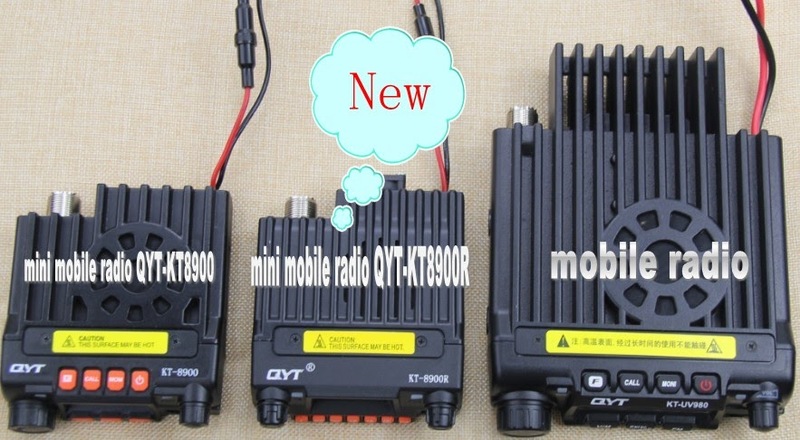 for now the last thing most people need is yet another 2m/440 only radio. Ve6mt has a great question. Post an answer soon folks. 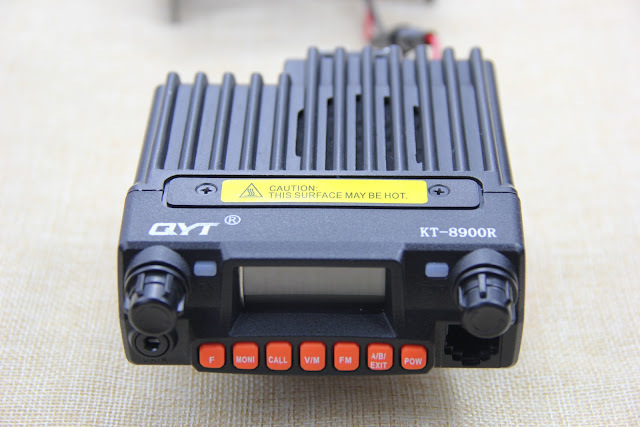 just bought a qyt kt 8900.
reading discovered it is a triband and need a password to a access 240mhz band. Any idea what are the numbers? I've noticed that mine will overheat in 10 minutes of back and forth chatter. Not happy but you get what you pay for. 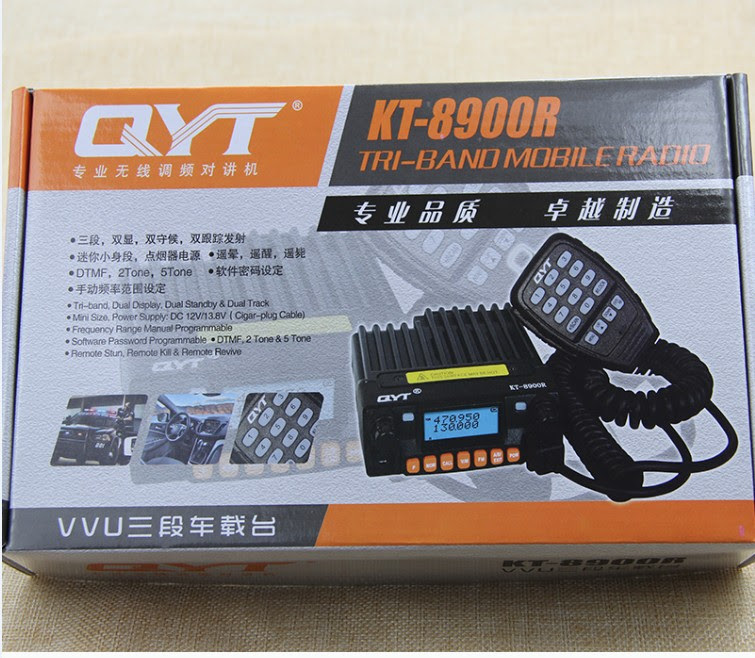 I bought QYT KT-8900R Tri-band Mobile Radio, and it already burned the outlet tank, because it stopped the fan, and I did not understand. 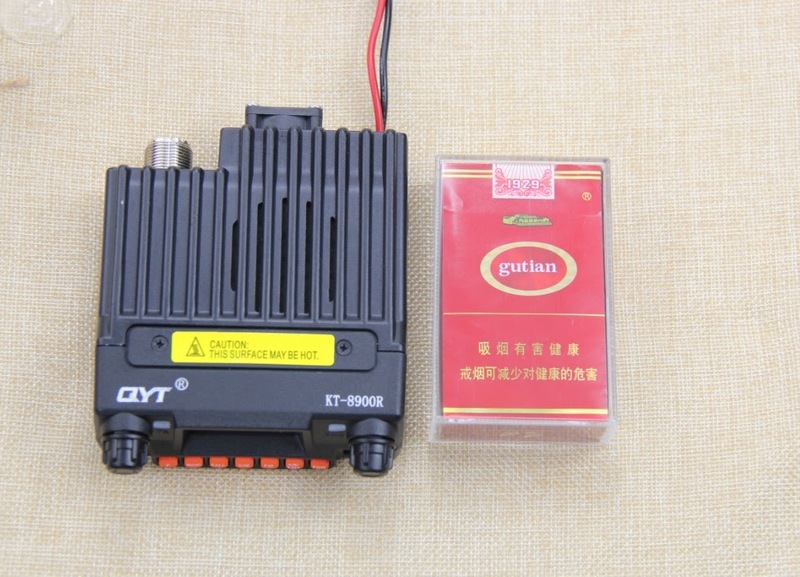 Caution if the equipment is defective, there will be no service manual for repair, the first one I bought burned the first day, I returned, I spent freight, and they sent another, that super heated, and burned the final tank. I've looked everywhere, it does not exist, If anyone has it and can send me a PDF, I'll be grateful. I do not recommend this product.